Every Magento 2 merchant can easily create and assign new custom product options provided appropriate modules are installed on the online store. Choose one of the following Magento 2 custom product options extensions and enhance your current ecommerce capabilities with custom options and the ability to assign them to all your products. Below, we will gather both free and paid solutions. Mageworx Advanced Product Options is a more robust version of a previous tool. 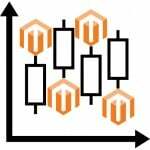 Being based on Advanced Product Options for Magento 1, it can significantly streamline Magento 2 product management. Thus, you can easily configure custom options for any product as well as manage products which have complex configuration or create bundled deals with Mageworx Magento 2 Advanced Product Options extension. 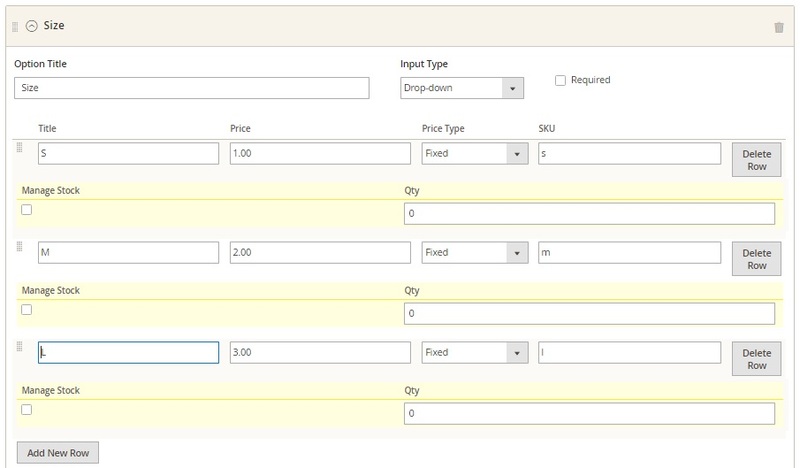 In addition to various custom option templates, you will receive dependent/ independent custom options, appropriate inventory, custom option images and color swatch, price management features, ability to work with different customer groups and use weight and cost as custom options. It is also necessary to mention that this Magento 2 custom product options module offers SKU policy management as well as stock reports. Although this module is not a Magento 2 extension for custom product options management, it shows similar functionality but in the area of promotions and discounts. Thus, the Product Labels Magento 2 extension is a perfect solution for highlighting promoted items with the aid of bright images. The module provides the ability to run your promotion campaigns easily by informing customers about special offers and sales. 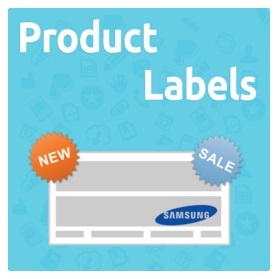 With Product Labels for Magento 2, you will be able to create unlimited number of labels, any type or amount of placeholders, as well as flexible rules for each campaign. 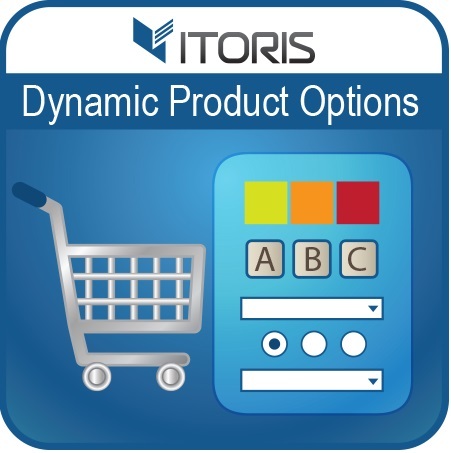 Itoris offers an ultimate solution aimed at convenient dynamic product option management in Magento 2. With the help of the Magento 2 Dynamic Product Options Extension you will be able to fine tune custom options on your ecommerce website in accordance with your business requirements. Although the module acts as a visual editor, it offers much wider opportunities, so you can even create complex option-based products with it. 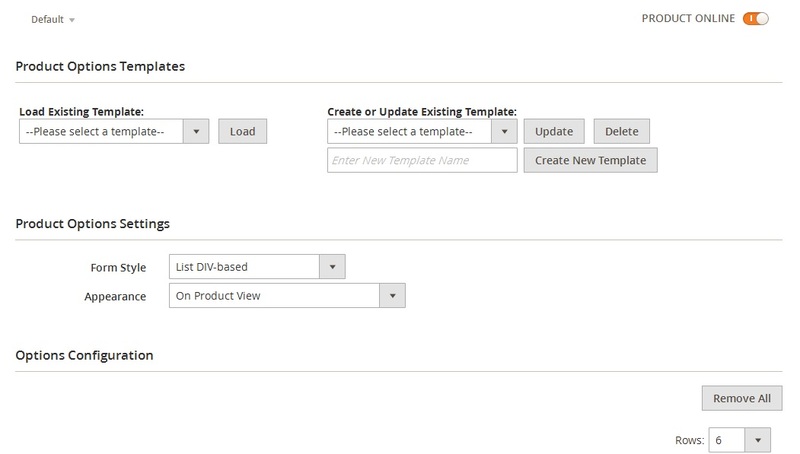 Itoris Magento 2 custom product options extension offers a plethora of settings created with developers and webmasters in mind. There are even separate options for different store views. The module also offers different form styles. For instance, you can get a DIV-based form with one field per row. 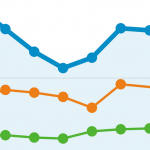 Alternatively, there are two types of Table-based forms: with several fields in a row and divided into sections. As for options display, it is possible to show them on a product view as well as in a popup. 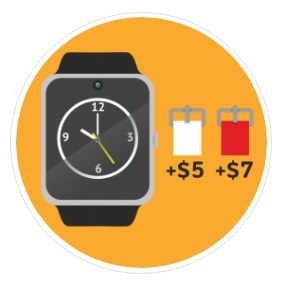 Besides, you can associate options to other products. This Custom Product Options Magento 2 extension provides an opportunity to select time slots for sold out time. You can freely use any titles for your time slots. 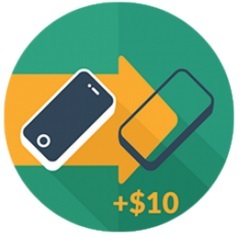 Besides, there is the ability to specify prices per each slot as well as number of orders. Furthermore, it is possible to disable certain days of the week with the aid of this Magento 2 module. 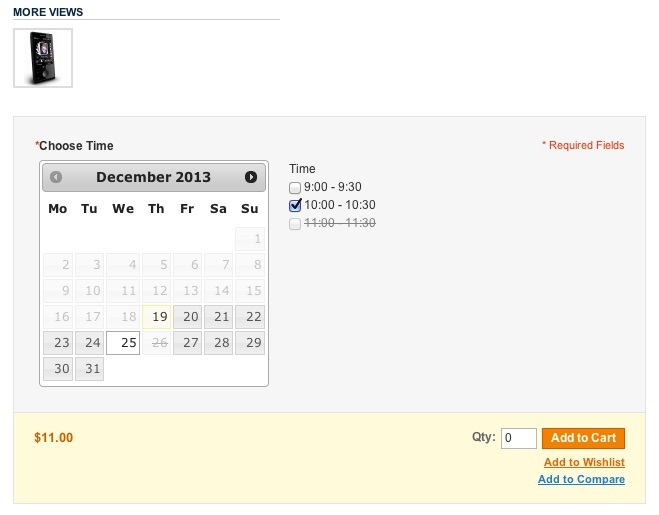 And you can use the same calendar for multiple products available on your ecommerce website. 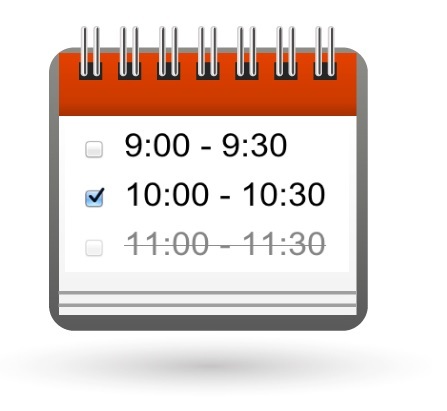 Please note that all time slots selected by a customer are saved in an appropriate text field of product custom options. As a result, they are shown on both order information pages and confirmation emails.